Temperatures have been extremely warm throughout December here at The Proving Grounds which has made for some tough hunting. Typically December can be a great month to pattern deer! Temperatures normally are dropping as winter sets in and deer head to food sources like soybeans and corn. With the temperatures we’re experiencing this winter, we’ve had to change from our usual late season setups. Matt Dye was able to harvest “Gappy” after we found a pattern of deer using a ridge with known red oak acorns on the ground. Food sources like Eagle Seeds Broadside blend, clover, or acorns might be the ticket to success during warm years like we’re experiencing now. We’ve been watching our Reconyx cameras a lot lately trying to find the food source with the most activity and red oak acorns seem to be the best! Red oak acorns are more acidic than white oak acorns. Therefore, deer don’t usually eat them as much during the early fall. As the fall progresses the red oak acorns break down, making them less acidic and more favorable to deer. Here in southern Missouri, we had a big crop of red oak acorns and we’ve spent a lot of time hunting around them. Last week Matt and I had a great morning in some red oaks when Matt shot Gappy, a big wide 8 point. Don’t be afraid to change your tactics at any point during the season! 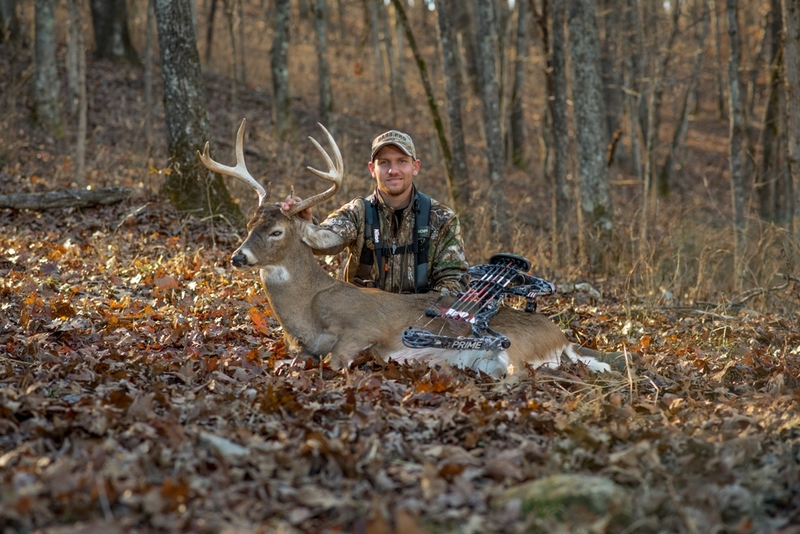 As the weather changes during the fall, your hunting tactics will most likely change as well!